Egypt’s ruling military body has promised a speedy investigation into Sunday’s violence that left 26 dead and over 300 injured as authorities seek to contain social tensions that could derail the increasingly unstable country’s democratic transition. ­The cabinet set up by the Supreme Council of the Armed Forces (SCAF) to handle the investigation issued a statement ensuring that justice would be swiftly carried out. 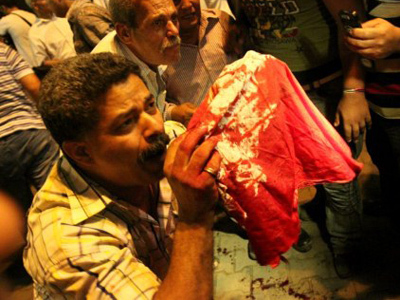 "A fact-finding panel headed by the Minister of Justice has been formed to immediately probe the Maspero incidents. All measures will be taken against all those proven to have been involved, either directly or by incitement," cites the Epytian Gazette. 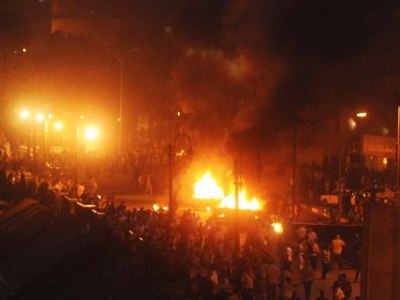 Violence erupted when the army attempted to disperse a march led by Coptic Christians who were heading towards the state television headquarters in Cairo to protest the razing of a church in the South Egyptian city of Aswan last month. 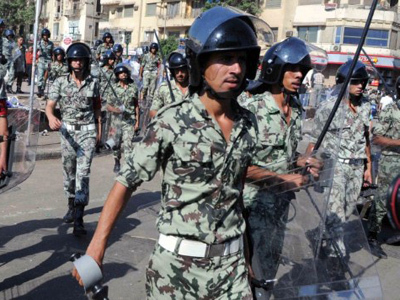 To answer calls from Christian Copts who claim the military's response was just a symptom of the greater discrimination faced by religious minorities in the country, the cabinet has promised to pass a new law concerning places of worship within the next two weeks. The promised legislation will facilitate the issuance of permits for the construction of new churches, conferring on them rights which will make them coequal with mosques. Additionally, the criminal code will be amended with an article that provides for prison sentences and large fines for any religious, racial, linguistic, or ideological discrimination, Interfax news agency reports. 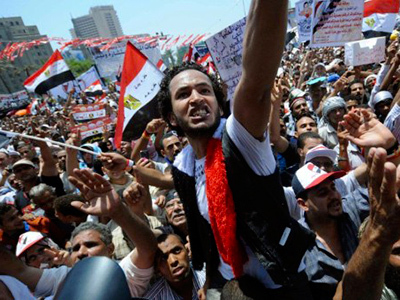 In light of recent events, both Prime Minister Essam Sharaf and religious leaders have sought to ease simmering social tensions in the country. The Grand Immam of AL-Azhar Ahmed el-Tayyeb has urged talks between Christian and Muslim leaders “in a bid to contain the crisis”, as cited by the daily. While relations between Muslims and the country’s minority Coptic Christian population have been strained for years, the situation has worsened since revolution swept through Egypt this past January, as once suppressed Islamists have become increasingly aggressive in asserting their demands. 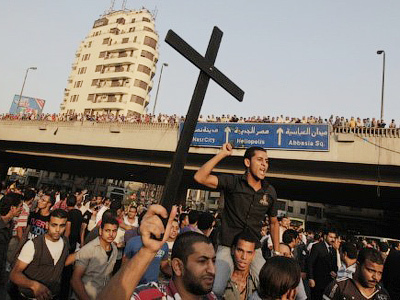 Many Copts have accused the authorities of turning a blind eye. 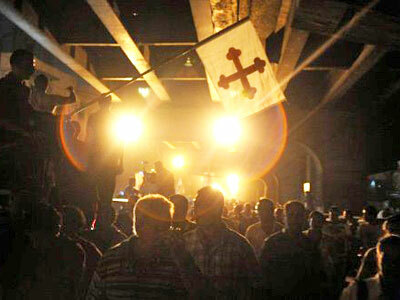 "The new emerging faction of Islamists and Salafists has created havoc since the January revolution … The problem is the severe reluctance of the cabinet and the authorities to enforce the rule of law and protect the Copts," said Youssef Sidhom, editor in chief of Orthodox Coptic newspaper al-Watani, as cited by Reuters. But apart from the social tensions, the real focus of outrage lies at the feet of the military, as many protestors fear that heavy handed tactics by the army and the violence that follows could be used as a pretext to derail the country's rocky transition to democracy. While Parliamentary elections are still scheduled for November 28, no date has been set for the presidential poll. Meanwhile, thousands of Egyptians poured out onto the streets of Cairo on Tuesday to mourn a young man killed in Sunday's clashes. The funeral procession saw the coffin of a Mina Daniel carried from the Coptic hospital were many of the wounded were treated to Tahrir Square. Earlier on Monday, some ten thousand people had marched from Cairo’s main cathedral to the Coptic hospital, as chants of “down with the military junta” interrupted the prayers, the Associated Press reports. The protest took on a multi-faith dimension, as Christians bearing pictures of Jesus Christ were joined by Muslims touting the Koran. 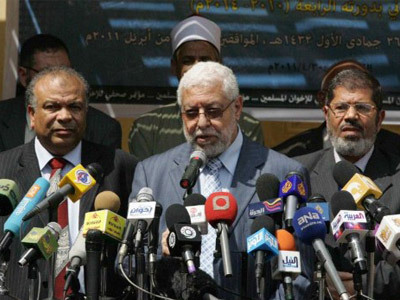 Calls for solidarity could be heard amid demands that the head of the ruling military council, Field Marshal Mohamed Hussein Tantawi, step down.